The Phillies announced Monday that they’ve signed outfielder Lane Adams to a minor league contract and invited him to Major League Spring Training. Obviously, it’s not the free-agent outfield addition that Phils fans were hoping they’d hear about today, but Adams will give the club a useful depth piece and a potential bench option for the 2019 campaign. The 29-year-old is a career .263/.333/.467 hitter with seven homers and 11 steals in 154 Major League plate appearances — most of which have come with the division-rival Braves across the past two seasons. Adams struggled through an ugly season in Triple-A last year but, as noted above, have been fairly productive in the big leagues and did notch a quality .264/.320/.461 slash in 199 Triple-A plate appearances with the Braves in ’17. Adams is 11-for-11 in MLB stolen-base attempts and has four seasons with 30 or more steals in the minors under his belt — highlighted by a 44-steal campaign in 2016. He’s capable of playing all three outfield slots and has spent the bulk of his Triple-A time in center field in recent seasons. White Sox Have Made Eight-Year Offer To Manny Machado? 11:53pm: In a contrasting report, USA Today’s Bob Nightengale reports (Twitter link) that the White Sox haven’t increased their original seven-year offer to Machado. 11:25pm: The eight-year offer is worth $250MM, as per Z101Digital’s Hector Gomez(hat tip to MLB.com’s Scott Merkin). 9:58pm: The White Sox have offered an eight-year contract to free agent infielder Manny Machado, ESPN.com’s Jeff Passan reports. We heard last week that Chicago had formally put an offer on the table for Machado, as per USA Today’s Bob Nightengale, though it isn’t known if this eight-year pact is that same deal, or if the Sox have upped their offer. That previous deal was “likely closer to $200 million than $300 million” in Nightengale’s words. The eight-year threshold seemingly represents a new step in the ongoing talks between Machado and the White Sox, as 670 The Score’s Bruce Levine had previously reportedthat the Sox were only willing to hand out seven-year deals to either Machado or Bryce Harper. The White Sox now seem to be a bit closer to Machado’s desire for at least a decade-long contract, though if he is “sitting on” Chicago’s offer, as Passan writes, it indicates that Machado is still holding out to see if another team can top the White Sox with a longer and more expensive offer. There seem to be at least three suitors in play for Machado at this time, as Passan notes that the White Sox and Phillies (who are “still engaged” with Machado) have been told that a mystery team is also interested. The Yankees have been linked to Machado this winter, though they might not be the third suitor, as recent reports seem to indicate a waning interest in Machado’s services. If the Yankees are indeed out, and the Phillies have now become the favorites to land Bryce Harper, Machado could find himself down to just two suitors. It’s anyone’s guess, of course, about who the mystery team could be or what they might be willing to offer (or if the team exists at all, and isn’t just a negotiating tactic by Machado’s camp). While Passan suggests that Chicago’s willingness to go to eight years could indicate some flexibility to add a ninth or even a tenth year to an offer, the White Sox might not feel such pressure if they perceive that they already have the highest bid. The White Sox have already sailed well above their financial comfort zone in bidding on Machado — an eight-year deal in the $200MM+ range dwarfs the previous largest deal in franchise history, Jose Abreu’s six-year/$68MM pact. After meeting with free-agent outfielder Bryce Harper on Saturday, the Phillies are reportedly the No. 1 contenders to sign the six-time All-Star. 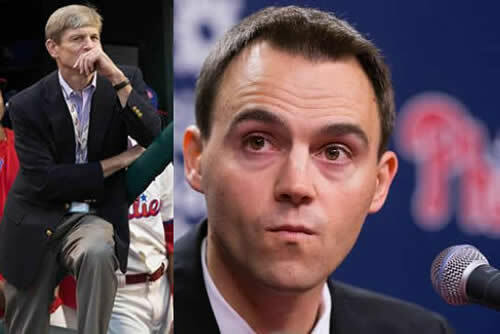 On the heels of the Phillies’ summit with Harper, owner John Middleton and general manager Matt Klentak shed some light on what the team accomplished by meeting with him and Scott Boras. “I think it was really positive,” Middleton told 6ABC (via Todd Zolecki of MLB.com), and Klentak agreed. “We got to understand the man,” Middleton continued. “We got to understand what he’d be like in the dugout, the clubhouse and the community. He and his wife are really an impressive young couple.” The Phillies’ contingent made a long presentation to Harper’s camp, though they reportedly haven’t issued him an offer yet. SUNDAY: The Phillies are “clear-cut” favorites to sign Harper, USA Today’s Bob Nightengale hears from multiple sources. The Nationals, on the other hand, are fading in the sweepstakes, and team executives are calling it a “long shot” that he’ll re-sign with them. Nightengale reports. Washington isn’t prepared to pay Harper more than $25MM per year, Nightengale suggests. The Phillies, meanwhile, haven’t submitted a formal offer to Harper yet, but that should change during the upcoming week, according to Nightengale. SATURDAY: After conducting a face-to-face meeting in Las Vegas with free-agent outfielder Bryce Harper on Saturday, the Phillies “remain optimistic” they’ll emerge from the offseason having signed him or free-agent infielder Manny Machado, Matt Breen of Philly.com reports. At the very least, the Phillies will be finalists for both Harper and Machado, Breen adds. The Phillies entered the winter with owner John Middleton declaring that money wouldn’t stand in the way of upgrading a team which has missed the playoffs seven years in a row. And signing either Harper or Machado has always stood out as the clearest path to improving the Phillies’ roster, as the two 26-year-old superstars are easily the premier players on the open market. Given both the Phillies’ financial might and their need for at least one of those players, it’s “likely” they’ll put forth the richest offers for both Harper and Machado, according to Breen. If the Phillies are only able to pick one, it’d be Machado, whom they “seem to prefer,” Breen writes. However, the Phillies have “signaled” to him that they are also interested in Harper – a move that Breen posits could pressure Machado to accept an offer from them. Notably, since the Phillies met with Machado in December, they’ve added one of his confidants to their staff, having hired former Orioles infield coach Bobby Dickerson in the same role. Dickerson was with the Orioles during Machado’s entire run with the team from 2012-18. Meanwhile, the White Sox – who look like the only other team seriously pursuing Machado – may have helped their chances this winter by acquiring the shortstop/third baseman’s brother-in-law, Yonder Alonso, and his friend Jon Jay. But if money, not personal ties, ends up being the deciding factor in where Machado goes, signs are pointing to Philadelphia. After all, the White Sox’s only known offer to date was reportedly worth closer to $200MM than $300MM, and it may take a proposal nearer to the latter amount to lure Machado. As with Machado, Harper has fewer franchises going after him than expected this offseason. 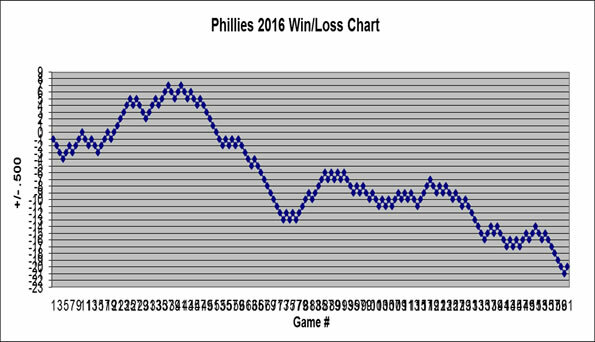 Still, at least four teams – the Phillies, White Sox, Nationals and Dodgers – look to be in the running. It seems the Nationals, with whom Harper has spent his whole career since going first overall in the 2010 draft, are particularly strong in the derby. As of earlier this week, the Nats were reportedly upping their efforts to re-sign Harper, to whom they’ve already extended at least one offer worth well north of $300MM. Reports have indicated the Dodgers aren’t keen on making a long-term commitment, on the other hand, meaning Harper may have to choose among the Phillies, White Sox and Nationals if he has any hope of landing a record-setting contract. The Padres persist in their dogged pursuit of Indians ace Corey Kluber, per MLB.com’s JP Morosi, who notes that the club would prefer to hold on to each of its top five prospects. The Tribe reportedly “have interest” in lefty Adrian Morejon, who, despite his status as a consensus top 50-75 prospect, wouldn’t fall into the aforementioned category in a loaded Padre farm. Still, it’s tough to see a deal consummated without one of those players; Cleveland, after all, has been widely reported to be seeking a Chris Sale-esque return for Kluber, and wouldn’t likely settle for even high-grade chaff. If the club is still interested in dealing the 32-year-old ace, the Padres would be seem a perfect fit: the club is loaded not only with blue-chip prospects, but also sport a glut of young, if underperforming, outfielders at every position. Morosi lists Manuel Margot and Hunter Renfroe as options, though the Tribe may also have its eyes on Franmil Reyes and Franchy Cordero, in addition to the richly-paid Wil Myers. Though many executives questioned the veracity of the Nationals’ reported 10-year, $300MM offer to Bryce Harper on the last day of the season, The Athletic’s Ken Rosenthal reports that the offer was “indeed real,” and that the two sides continue to negotiate. Harper, it seems, would very much like to surpass the $325MM guaranteed to Giancarlo Stanton, though doesn’t appear to have the wind-ranging market he once envisioned. Some interested teams continue to disguise their intentions, but not the Cubs, who Rosenthal notes “would love” a shot at Harper, if only the front office could get the “unlikely” go-ahead from ownership. Jim Salisbury of NBC Sports Philadelphia details the Fightins’ unique relationship with agent Scott Boras over the years, which reached a tipping point over 1997’s bitter dispute with number two overall pick J.D. Drew. The Phillies, of course, are set to meet with Harper today in Las Vegas, and have long been considered the near-favorite for his services. Per Salisbury, the club plans to address recent reports that the 26-year-old star is not fond of Philadelphia, which would seem to strike a death knell to the team’s chances. Among all potential suitors with near-term competitive ambitions, the Phils have the greatest need – and, perhaps, the most available cash – for Harper, and perhaps the team’s recent amenability with Boras could tip the scales in its direction. The Phillies have inked infielders Andrew Romine and Gift Ngoepe, per Bob Nightengale of USA Today (via Twitter). Both are joining the organization on minor-league deals. Romine, now 33, has appeared in every one of the past nine MLB seasons, though only once has he surpassed three hundred plate appearances in a given campaign. Through 1,323 total trips to the dish at the game’s highest level, he’s a .235/.291/.301 hitter. Clearly, teams are more intrigued by Romine’s glovework than his bat. The same holds for Ngoepe, who is the first African-born player to play in the big leagues. Soon to turn 29, Ngoepe has yet to show that he can hit enough to command more than spot duty in the majors. In 902 career Triple-A plate appearances, he’s hitting .212/.297/.344.